The following was written by PoPville contributor David McAuley, founder of Short Articles about Long Meetings. 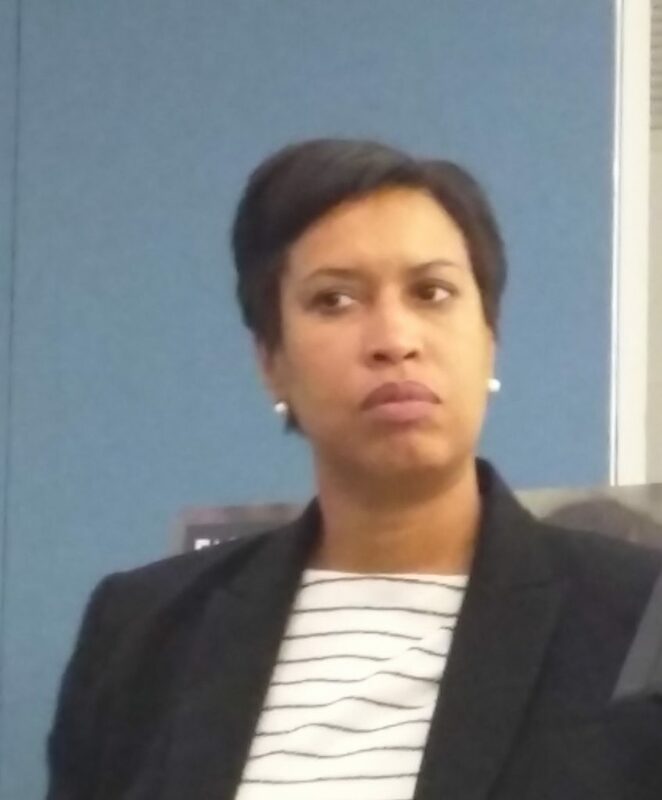 Mayor Muriel Bowser and a team of department heads discussed many topics at the regular monthly meeting of Advisory Neighborhood Commission (ANC) 6E/Shaw last night (November 7), but the conversation frequently circled back to garbage and the vermin who feed off of it. “The number one complaint is rats,” said ANC6E Chair Alexander Padro (Commissioner for district 01), as he prepared to pepper Bowser with sanitation-related complaints from Commissioners and constituents. “I take it very seriously,” Bowser replied, adding that the city is working with restaurants and examining best practices from other cities. Bowser also said that “the growth of the rat population is real”, due to exceptionally warm weather the last two winters, and she was hoping for “a very cold winter” to assist in dealing with the problem. Bowser also told the audience that the administration was planning a rat-centric (“not potholes, not lights, not trees – just rats“) community walk in the Dupont Circle area next week. “I get reports every week about missed pickups,” Padro told Bowser. Bowser called on DC Department of Public Works director Christopher Shorter to help her field the question. 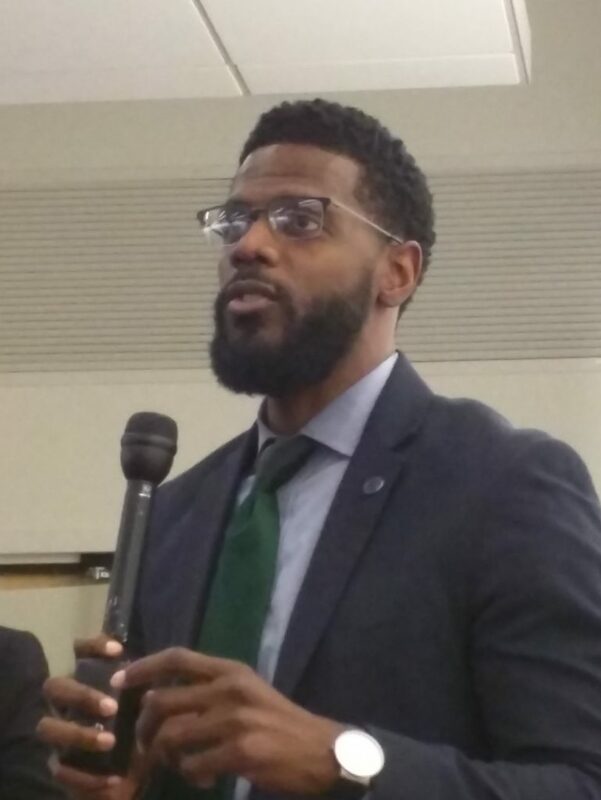 Shorter said he was aware of complaints in the neighborhood, especially coming from the 1500 and 1600 blocks of 8th Street NW. These pickups were not being missed, but they were taking place later in the day, Shorter said. “Our crews are running until seven, eight, nine at night,” Shorter said. Shorter said that garbage pickup routes were now “running longer” and that 56 percent of no-pickup complaints were made before the garbage collectors had completed their new longer routes. People should not necessarily expect garbage they put out for collection in the morning to be collected by the time they return home in the evening. “That’s no longer the reality,” Shorter said. Later, when the floor was opened up to comments from citizens, rats and trash continued to be an area of discussion. One man said rats were chewing through his plastic garbage pails and asked how to replace them. Another said that trash and recycling were only half-emptied after pickup. Still another complained that on-line complaint tickets about trash collection were being closed even though no action had been taken.